All books are new, and are softcover, unless marked otherwise. 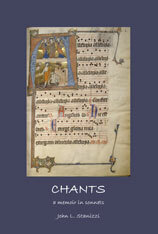 We have limited amounts of each book, in most cases 3-5 copies. When you order a book, if it is out of stock, we will let you know. If we can't get it on re-order, you will receive a full refund. Shipment is normally within 48 hours. The Used Book section is now open! We use the PayPal® Shopping Cart for our secure transactions and you can make your purchases safely using your Paypal® account or with a major credit card. We also accept orders by mail and you may send us a Personal Check, Money Order, or International Money Order. For ordering and shipping information click here! If a letter is grayed out, we have no authors beginning with that letter. 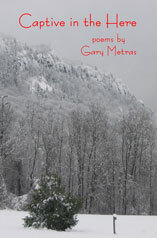 Gary Metras is the author of four previous poetry books along with eleven chapbooks, most recently, Two Bloods: Fly Fishing Poems. His poems, essays, and reviews have appeared in such journals as America, American Angler, The Boston Review of Books, Gray's Sporting Journal, Poetry, Poetry East, Poetry Salzburg Review, along with the recent anthologies Working Words: Punching the Clock and Kicking Out the Jams (Coffee House) and The American Public School Teacher: Past, Present, & Future (Harvard Education Press). He is a past recipient of the Massachusetts Fellowship in Poetry. He is the editor, publisher, and letterpress printer of Adastra Press. He fly fishes the streams and rivers of western Massachusetts as often as possible. "The Moon in the Pool is the work of a seasoned poet, a writer accustomed to having his way with words. But there is more to these poems; they make us what we already are. In other words, they tap into our shared humanity….This small book is a welcomed read. Its aftertaste is long lasting-analogous to the love it expounds, in the midst of all else that life offers." Greatest Hits 1980-2006: "The words are gifts from an accomplished poet, sure of his words and his mission to deliver his words carefully measured and assured… So read this book and see a good writer at work." Until There Is Nothing Left: "Metras is an unpretentious writer who keeps company with readers...In fact, he's good company. His voice is direct, simple, uncomplaining and democratic." Seagull Beach: "The book's feel, heft, and contents are an evocative experience." A Room Full of Walls: "…powerful and successful, so eloquent of strong, controlled emotions….the very considerable achievement your collection represents." Lisa Akus has published poems in Congeries, Lake Effect, Redactions, and in the anthology Double Kiss: Stories, Poems, Essays on the Art of Billiards (2017 Mammoth Books). 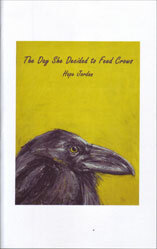 Her poem "Killdeer" received an honorable mention for the Pushcart Prize. She lives in Erie, PA with her partner and sometimes collaborator Sean Thomas Dougherty, and their daughters Amara Rumi and Andaluzja Akhmatova who provided much inspiration for these poems. Among the tall grass and clover flowers our youngest sits picking. She squints an eye shut and holds one up to the light twisting at its stem. Slow and careful. She wants to know how the sunlight breaks through its petals and so begins pulling them out one by one. Her sing-song voice counting them until they are all gone. What she takes from this she will tell no one. Then a helicopter seed. And a new question as she continues to pick it up and toss it into the air. Despite it's falling back to the ground, every time. But soon they are falling all around her. A strong wind has brought them almost fluttering in a way she seems somehow familiar with. And suddenly she is spinning with them. She, this girl we worried so much about her walking late. Always tripping over nothing, and even now still unable to come down off her toes. And yet she is spinning, and stretching her arms out as if to welcome something back. Something we at some point lost? 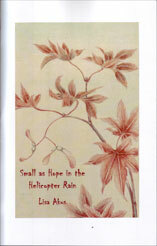 Something, small as hope in the helicopter rain. 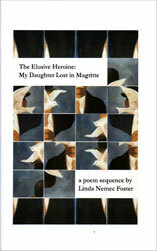 Linda Nemec Foster has published ten other collections of poetry including Amber Necklace from Gdansk (finalist for the Ohio Book Award in Poetry), Talking Diamonds (finalist for ForeWord Magazine's Book of the Year), and The Lake Michigan Mermaid (co-authored with Anne-Marie Oomen). Foster's work has appeared in such journals as The Georgia Review, Nimrod, Connecticut Review, New American Writing, The North American Review, Paterson Literary Review, and Quarterly West. Her poetry has also been published in anthologies in the United States and Great Britain, translated in Europe, and produced for the stage. She has been honored with Pushcart Prize nominations and has received awards from the Arts Foundation of Michigan, ArtServe Michigan, National Writer's Voice, the Polish-American Historical Association, and the Academy of American Poets. Foster was selected to serve as Grand Rapids, Michigan's first Poet Laureate from 2003-05. 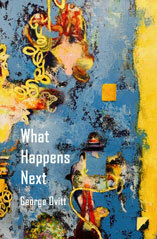 Her chapbook, Contemplating the Heavens, was the inspiration for jazz pianist Steve Talaga's original composition which was nominated for the 2007 Pulitzer Prize in Music. Foster's project, Cry of Freedom, is a collaboration with Hungarian musician Laszlo Slomovits and was released on CD in 2013. Foster is the founder of the Contemporary Writers Series at Aquinas College and in 2015 received the Lifetime Achievement Award from the Dyer-Ives Foundation for her work as a poet and advocate for the literary arts. Steven Ostrowski is a poet, fiction writer, painter and songwriter. His work appears in numerous literary journals and magazines, and he is the author of three previous chapbooks—two of poems and one of stories. New chapbooks from Island Verse and, with Ben Ostrowski, Black Magic Media, are scheduled for 2018. He teaches at Central Connecticut State University. Benjamin Ostrowski is a current PhD student studying Organizational Behavior at Carnegie Mellon University. He has poems published in The American Journal of Poetry, The Gyroscope Review, Blue Muse, The Dark River Review, and others. 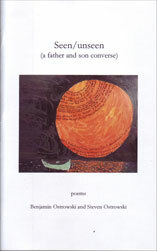 He has a forthcoming chapbook co-authored with his father, Steven, from Black Magic Media. Seen/unseen is an ecstatically authentic conversation, poetry full of unapologetic humanity. This is not just call and response but challenge and answer, parry and thrust. Two voices calling each other higher, reveling in each other's performance. We could not ask for more from such a talented father-son team. Seen/Unseen gives us the visions that occur when each participant closes their eyes, opens themselves to the world and speaks from one soul to another. The commonplace and the miraculous intertwine in this exchange of the gifts the father brings the son, and the son brings the father, when both open their souls to the other and view what they hold in their hearts. Hope Jordan is in the Creative Writing MFA program at UMass Boston. Her poems have recently appeared in such publications as Nine Mile, Comstock Review, Naugatuck River Review, and Red Headed Stepchild. She was the first official poetry slam master in New Hampshire. Hope Jordan's small book is stripped to the bone precise-yellow jackets and sweet grass, ice fishing holes and old Buicks mark the landscape of people struggling in small towns where "Housewives overdose after Halloween." These are razor sharp poems that tell us only just enough, restrained by love, and terror. Andrey Gritsman is a poet, essayist and writer of short stories from Russia, writes in English and in Russian. 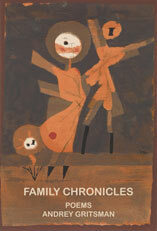 His works have appeared in many American, European and Russian magazines and anthologies. Gritsman is the author of ten collections. Andrey runs Intercultural Poetry Series at Cornelia Street Café and edits poetry magazine INTERPOEZIA. He lives in New York City and works as a physician. This book is a poetic family memoir. It is roughly divided in three parts: "Childhood – Youth," "Parents" and "America." Naturally, there is a significant overlap in terms of themes, moods and approach to the material. For the reader it will be easier to go through this book since it relates metaphorically to biography. My childhood and youth, the younger years, were spent in Russia, in Moscow where I was born and raised. My family is Muscovites in several generations. I am also a third generation of doctors who graduated from the First Moscow Medical School (Medical Faculty of the Moscow State University). I came to the U.S. in the spring of 1981 with my family (my wife and two little children). For a year I worked as a research fellow at the National Cancer Institute, then passed my medical exams and walked the usual path of the American physician: Residency, Fellowship at the Cancer Center in Houston and eventually landed in Manhattan at Lenox Hill Hospital, historical place on the map of the United States. Since then my life was closely connected with the City, Hudson River and Hudson River Valley. Upper East Side was place were my literary career in American poetry started: Master Class with incomparable Amy Clampitt. The best creative years were years at the Vermont College MFA working with such brilliant poets and mentors as Deborah Digges, Jack Myers, and Roger Weingarten. A special influence on me has been my long term friendship with wonderful American poet Baron Wormser. 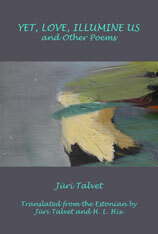 I am a poet and a writer of short stories and personal essays both in Russian and in English. This part of bilingual writing is important facet of my combined sensibility. The reader might notice this bilingual feature in the content of poems, but also in the usage of language and idioms. Many of the poems are equipped with a short footnote, explaining some of the peculiarities and specificities of the situation, explaining some of the historical events. But also, specific features of the Russian and Moscow life at certain historical periods. Some of the footnotes are simply the explanations of certain family events and their relation to the historical periods and events in Russia or in the U.S. In this searing collection of personal poems, we encounter a myriad of everyday struggles and loss deftly turned on their head. From dementia to child abuse to the disintegration of relationships, each subject is rendered with raw abandon as well as an empathetic heart. There's lush music in the language of these poems, no matter their length. True to the title's promise, there's also a magical pulling back of the curtain, so that we are not only voyeurs privy to the author’s innermost life and experiences, but our own as well. Stepping inside these pages is like finding a diary replete with secrets, hopes and broken dreams, a diary that could well belong to our closest friend, or perhaps, a diary written by our own hand. Alex M. Pruteanu is author of novella Short Lean Cuts, and Gears: A Collection (Independent Talent Group, Inc.), both available at Amazon, Barnes & Noble, and Powell's Books. He has published fiction in Guernica, [PANK], Specter Literary Magazine, The Prague Revue, The Stockholm Review of Literature, and many others. 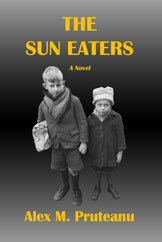 The Sun Eaters unravels the story of two brothers in a small village of an Eastern European country just post World War II. The two boys and a handful of their colorful mates struggle to survive famine, desolation and destruction, as well as repressive political ideology that has been forced upon their country. In the boys' battle against what seems like all elements of life-turned-hostile, we discover the beauty of the enduring human spirit and the coping powers of a child's imagination during difficult times. Rene Schwiesow came to the Boston Poetry Scene through drumming. In a fortuitous alignment of the planets and stars she met the late, great Mike Amado at a drum circle and the rest is history. She is currently a co-host for the popular South Shore poetry venue, The Art of Words, where she not only reads poetry and introduces features and open mike readers, but also is maker of the meatballs served during intermission (recipe is strictly a secret, unless you ask her nicely). Rene has been published in various publications including Muddy River Poetry Review, City Lights, Ibbettson Street Press, The Aurorean, and Bagel Bard and Tidepool Poet Anthologies. When she is not writing, reading, or watching Doctor Who, she can be found with a Tarot deck, aligning chakras with Reiki, or shopping for boots in support of her obvious shoe fetish. In this collection of heart echoes, the words reverberate moments strung along the poet's timeline. The poetry is a showcase of laughter, heartache, growth, letting go, recognition, awareness, friendship, and love. Schwiesow has used keyboard as paintbrush to create page after page of moving images. May you find your own echoes whispering in the gap between each word, phrase, and poem that imprints itself upon your mind. These pages that connect fourteen poets whose chance encounters with one who is no longer with us make fifteen. 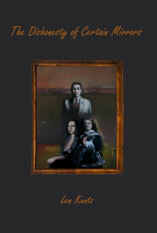 J. Edwin Whitelaw, obscure to all but those who knew him, provided a connection between those whose works and comments appear within, and to whom this anthology is dedicated. Born in the Arkansas Delta near Helena in 1953 Whitelaw escaped, however the South’s influence upon him for good and bad played an important role in all aspects of his life until his death on Christmas Eve in 2006. Near his death, he described himself as “a slightly older man” who had become a mere caricature of his former self. His poetry ran the spectrum from bitingly cruel as you will find in “An Acute Friendship” to the painfully romantic “Icarus Dreams Of Aphrodite” that appear in this collection. And so say his ex-wives and lovers. Once asked for an explanation of his paradoxical approach to poetry, he would not give one. During the Bush Eras, he found an increasing and alarming distrust of Americans abroad. “This unholy alliance between the Patriots of the Religious Right and the Republican Party will push this country to the fascist brink. But hey, look on the bright side, oppression has always been good for poetry.” according to J. Edwin. He retired from teaching in the late 90’s. Having lived in three foreign countries, he was conversant in five languages, and later worked as an independent consultant to international firms seeking to do business in the United States. Divorced more times than he cared to discuss in detail, he once said he was destined to die alone surrounded by his books unless his large dog outlived him. It was a statement that proved to be prophetic. His dog in fact did not outlive him, and he was found dead in his rented flat in the Trastevere District of Rome on Christmas Day 2006 having apparently died the evening before quite alone. 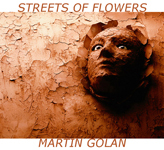 In putting this collection together one contact led to another tied with the common thread of poetry. For his enumerable faults, defects and sins all of which he freely confessed, he with a few exceptions managed to salvage his broken relationships converting them into strange forms of friendships that included me. 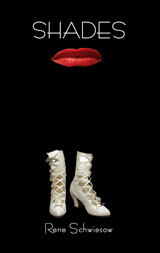 Fittingly in his honor this anthology is subtitled “An Anthology of Sin” and dedicated to an extraordinary ordinary man. This is the Červená Barva Press Bookstore and we sell new and used books. 6 Ebooks to read online! Copyright © 2006-2017 The Lost Bookshelf. All rights reserved.